There are various teeth whitening options available in the market nowadays. All of which promises to give amazing teeth whitening results, but are they worth it? The product that most people prefer to use is toothpaste. Aside from accessibility, they are also easier to use. People can simply brush their teeth with it, nothing too complicated. However, the question is this, is it safe to use a whitening toothpaste morning and night, every day? Let us at Alora Dentistry satisfy one’s curiosity. Read on! Whitening toothpaste contains chemicals that can remove stains and polish the teeth. Although this product is mostly safe, if used mindlessly, problems like enamel damage and sensitivity are more likely to be experienced. Most products contain the mineral fluoride which helps fight the development of complications like gum disease and cavities; however, this does not whiten the teeth. What makes the whitening toothpaste effective are the harsh ingredients (baking soda and silica) or safe dosages of peroxide. Patients need not worry about the amount of peroxide provided since it is less likely to cause irritations and sensitivity. Despite this fact, it is still highly advised for patients to seek professional assistance to guarantee their safety and comfort, as well as effective results. Even the American Dental Association recommends this practice. Why Opt for the Professional Teeth Whitening Approach? Not just with toothpaste, other whitening products that can be availed easily are more likely to be overused by patients who are hoping to get the smile they have always dreamed of. However, they should know that not everyone can achieve the level of white they are aiming for by using over the counter products. Due to the safety instructions laid out, store-bought products can only have a limited amount of whitening agents. As a result, patients would need to repeatedly purchase and use them until the results become favorable. Fortunately, that is not the case with professional teeth whitening treatments. Since the method is delivered by a professional, patients are assured of a comfortable, safe, and effective teeth whitening treatment. Whatever whitening system they use, do know that the bleaching properties it contains are high. As a result, people who opt for a professional approach are more likely to get favorable results in a short amount of time. Do not settle for less. Instead of spending time and money using a whitening toothpaste that can potentially cause problems, why not go for a better alternative? 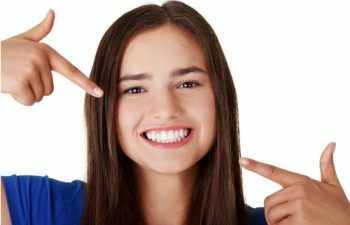 Give your smile a boost by booking an appointment with Alora Dentistry for our Teeth Whitening service in Napa, CA! We are located at 917 Trancas Street, Suite A Napa, CA 94558.